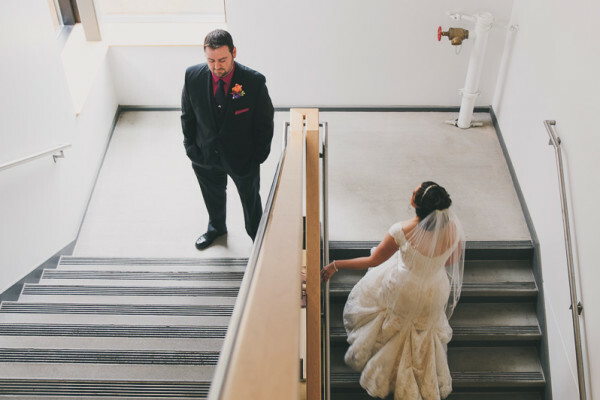 This JM Cellars wedding with Kim and Charles was one of the most beautiful, genuine weddings I have been a part of. From the moment I met them I knew that they were the real deal. The way they spoke about each other, the excitement they had over planning every detail of their wedding together was so fun to witness. We had a great time shooting their engagement session in the dusk in a fantastic park in Renton. I love shooting engagement sessions for couples who book me for their wedding photography. It gives us a chance to get to know each other before their big day. It allows them to feel comfortable in front of the camera (which takes a while for most of us!). 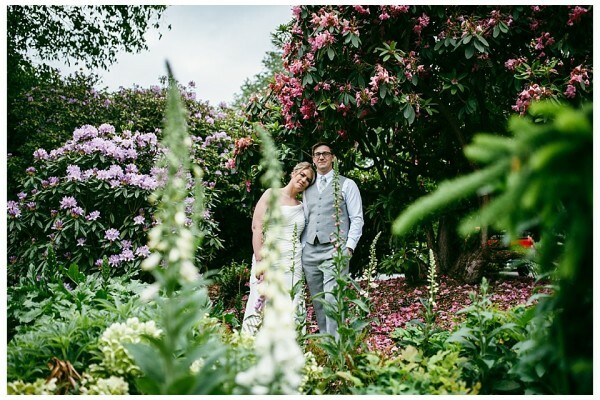 Usually by the end of our engagement session we are all relaxed and comfortable with each other, which makes it so much easier to capture intimate and meaningful photos on their wedding day. Kim and Charles had a gorgeous sunset picnic during their engagement session and it was a great evening. It is easy to be around a couple so affectionate and so obviously in love. Their wedding day was one of those rare October days full of sun and all the gorgeous fall colors were miraculously still on the trees- even after a big storm. 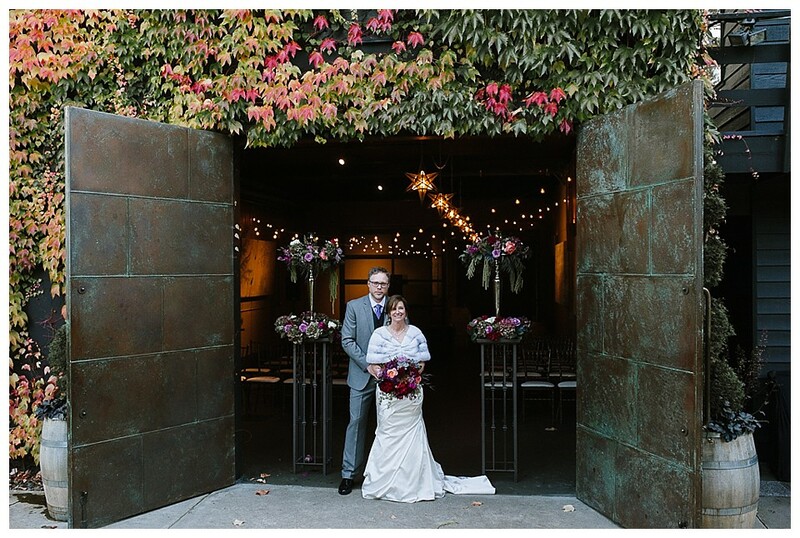 JM Cellars was the perfect venue for this intimate wedding surrounded by close friends and family. The day was full of laughter, delicious food not only during dinner but during the prep before the wedding (it pays to have a friend who’s a professional chef). The floral arrangements in the hall were nothing short of decadent- the rich colors and textures created a lavish backdrop for the celebration. Truly, this wedding was a celebration. The wonderful thing about the whole day was the sense of joy and love and support surrounding Kim and Charles. 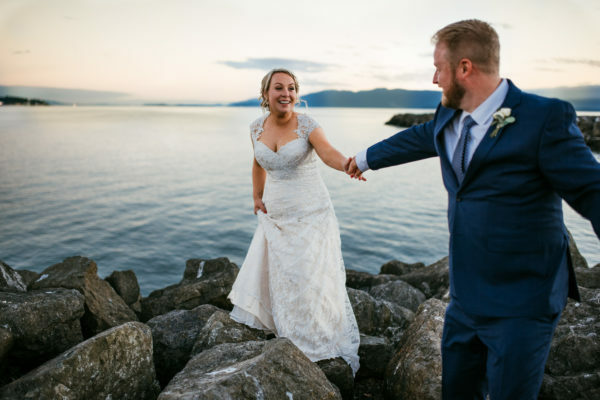 Intimate weddings allow for that close vibe where the guests in attendance truly know and love the couple and their story and are celebrating with them. Special details during the ceremony added to this feeling, like the fact that the officiant was a close friend of the bride or the special gifts Kim gave to Charles’ children. Every part of the day was very well thought out and meaningful. I’m so glad I was invited to be a part of this gorgeous day. Thanks, Kim and Charles, for the honor and congratulations on the beginning of a whole new chapter in your romance.